Security of your iPhone must be of utmost importance to you, whether it is physical protection or software. It is quite easy to lose your iPhone or your sensitive data may get stolen if it is not protected. You need to make sure your iPhone is safe from getting stolen including the information inside it with the help of effective, powerful and best security apps for iPhone. 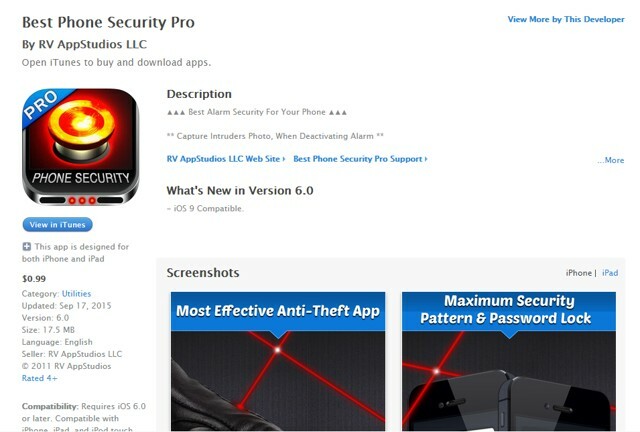 There are tons of security apps for iPhone available in the Apple App Store, both free and paid. 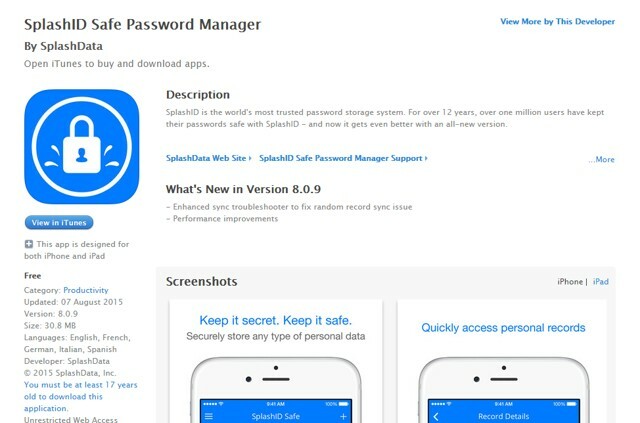 These apps provide different types of protections like, password manager, finding lost iPhone, data security and online security, etc. So you might have to download more than one app to ensure your iPhone is protected in every way. The Apple App Store is overflowing with apps made for security of your device, so choosing the best iPhone security app can be a little difficult. Fortunately, we are on your side to help you find the best app for your needs. Today, we have compiled a list of 10 different iPhone security apps that will help you keep iPhone secure and your activities on it as well. Without further ado, let’s get straight to tightening up your iPhone’s security. SplashID should be the first app to refer to when you are concerned about the security of sensitive information like Passwords, Credit card information, codes and account numbers. It is basically a secure vault that will secure and manage your sensitive information (specifically, credentials). The app will secure your information with AES-256 encryption along with Two-Step verification, ensuring that only you will be able to access the information. The information can be saved over Cloud storage or your phone, and can be accessed from anywhere if you are using cloud storage. Some of its features include, data sharing, Touch ID login, Auto backup, auto fill and categories. 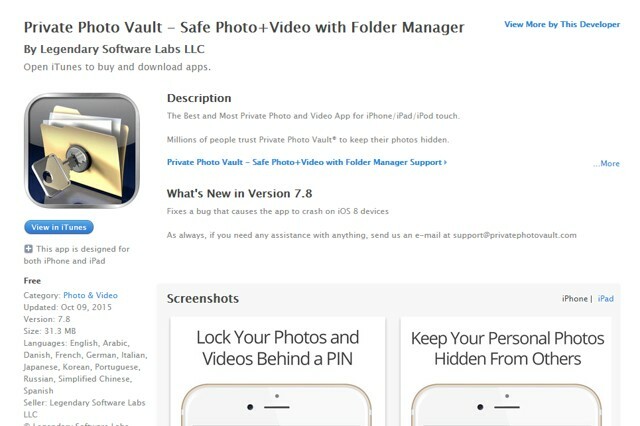 If you are concerned about the security of the media files in your iPhone, then Private Photo Vault will ease up your brain. It is a secured vault that will let you store your photos and videos in a password protected vault. You can save all your private photos in the vault and delete them from the gallery (if you want). You can create photo albums in the app and even preview content as you please. If someone tries to open the vault with a wrong password it will take a photo and GPS coordinates to let you know about the culprit. It has a separate gallery similar to the phone’s gallery, and you can send the image safely to other people via email or text. 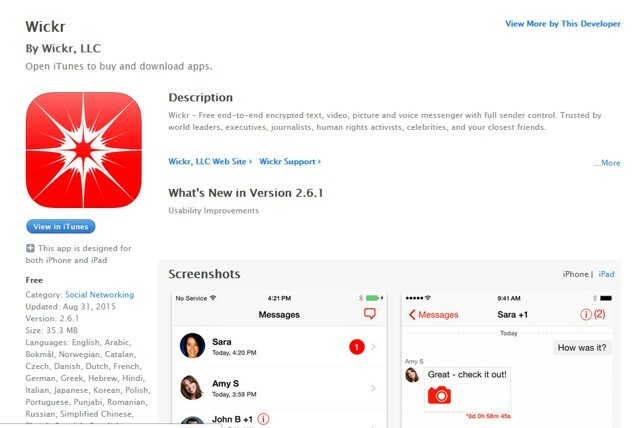 If you are concerned about the privacy of the data being shared from your phone, then you might like to try out Wickr. It is actually iPhone security app that secures all the data being shared from your phone, including messages, pictures, audios and videos. It will encrypt all the data being sent and the messages can be set to self-destruct after a specified time, leaving no traces. 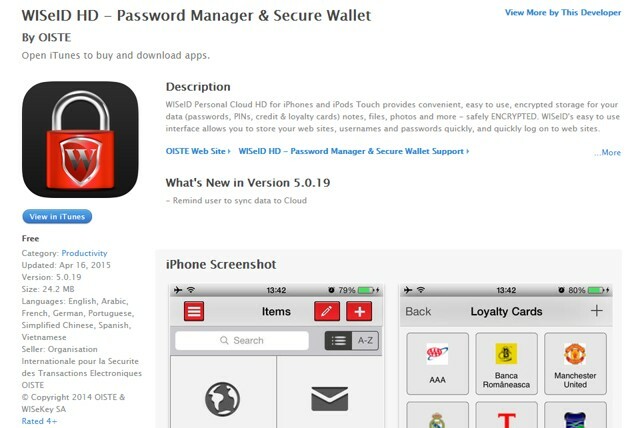 It is a completely free security app for iPhone without any kind of ads or in-app purchases. However, the security works only between Wickr users, so the receiver of the messages and files must be a Wickr user. It also offers many other features like a file shredder, Metadata remover, customizable self-destruct time and no-data tracking policy. You might already know about the famous Find My iPhone app by Apple, but it is an honorable mention. 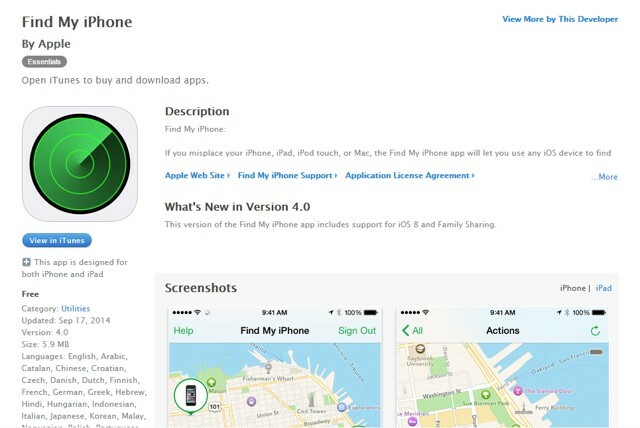 It is a completely free app that will let you track your iPhone in case it is lost or stolen. If the feature is enabled, all you need to do is login to iCloud with your Apple ID and you will start seeing the current and previous locations of your iPhone on a map (it must be connected to the Internet). You can also remotely control some functions of the app, like Lock it, display a custom message, ring it and wipe all the data on it. It also comes with a “Lost Mode” that will automatically lock the device and put custom message and contact number right on the screen so someone may contact back. It will also keep track of your device and keep you updated with its location history. 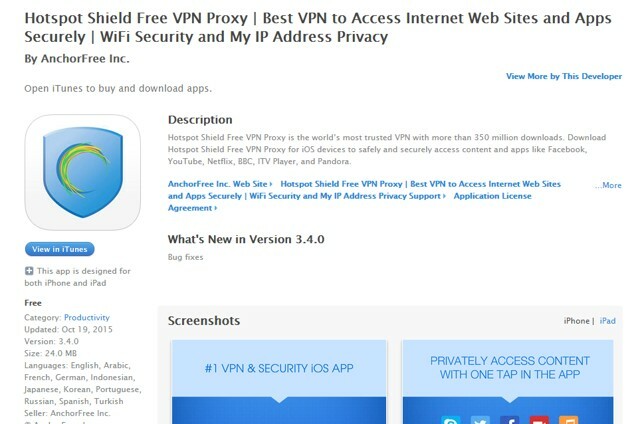 Hotspot Shield VPN is one of the best ways to ensure online privacy and safety. It will make your online presence anonymous, including your IP address, location and identity. It will also make all location restricted websites like, Facebook, YouTube, Pandora, Netflix and BBC accessible anywhere in the world. You can also access restricted apps like Skype or Viber, and also create a virtual location using the supported servers in USA, China, Germany, India, Australia and many more. Freely connect to public hotspots as Hotspot Shield encrypts all data transfer to ensure none can steal your information. This is an encryption app that will encrypt all your sensitive data to ensure no one gets their dirty hands on your data. It will be able to encrypt almost all types of data on your iPhone, including, passwords, login details, photos, files, notes and other types of phone data. The data is protected with Password, Face recognition or Dot Pattern recognition. It is also a password manager and generator, so you can easily use it to securely save your passwords and login in to websites with just one touch. 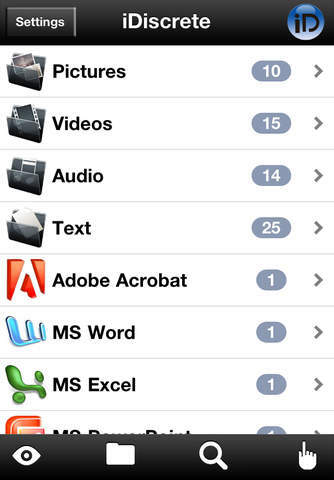 It also works with Dropbox to save your information and even offers its own cloud storage if you like to buy. 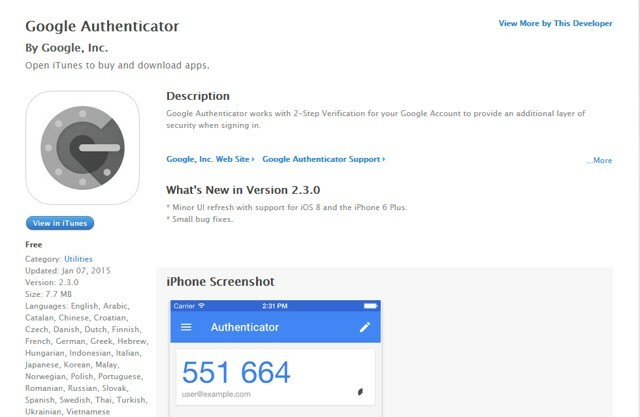 If you use Google services and have two-step verification enabled on your Google account, then Google Authenticator is a must have app for you. The job of the app is to make it easier for you to go through the process of two-step verification by generating a code. This will help you avoid depending on your cellular connection to receive the code to authenticate. The codes can be generated based on time and counter. Best of all, it works with multiple Google accounts, so you can easily and securely authenticate more than one accounts. Best Phone Security Pro is actually a Lock Screen app that will replace your current lock screen with a more feature rich and secure lock screen. It supports 2 lock screen protections, password and pattern protection. If anyone else tries to access your phone and enters a wrong password, this app will take a photo so you could catch the culprit. You can also set it to start ringing as soon as a wrong password is entered, perfect for catching the person red handed. The alarm sound is also quite loud and you can record custom alarm sounds or use built-in 4 different alarms. Best of all, the app will also lock volume controls to ensure no one gets away. 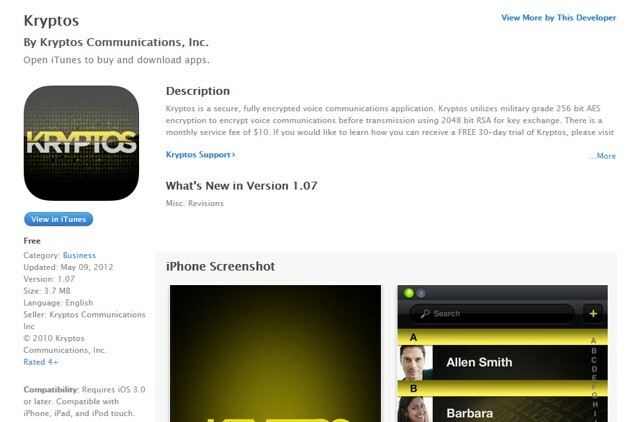 Kryptos is a VoIP app that will let you make VoIP calls to other Kryptos users. However, unlike other apps, it encrypts all your calls with AES-256 encryption to ensure no one is eavesdropping. This is perfect for iPhone users who are concerned about their calls being listened by other people like, hackers, carriers and the government. You can call using a Wi-Fi, 3G or 4G connection, and transmission is done through 2048 bit RSA for key exchange. Although the app is free, but the services comes with a $10/month subscriptions. You can check the service before buying with a 30-day free trial version that provides complete access. iDiscrete is another app for password protecting your data, but it does it in a smarter way. The app will store all your data and password protect it, when you will turn on the app it will just show a loading screen. You will have to use the specified taps to access the app or a dummy app will open up. This ensures no one even knows you have something to hide and will never beg for providing the password. Its support for multiple formats also make it a perfect addition, its supports almost all images, audio, video and document formats and support for more is added frequently. It comes with a price tag of $2.99, which is quite affordable for the value this app adds. Using the above best iPhone security apps, you should be able to protect most of your iPhone usage or at least the important areas. All the security apps for iPhone that we have selected in this list are either free or very cheap while providing great value to your phone and money. Downloading all the 10 apps won’t be wise, just carefully read what each app has to offer and what type of protection you need. After that, decide which app you should download. If you know any other good iPhone security apps or have any questions, connect with us in the comments. Thanks a lot for the article. Security is a vital issue on an iPhone. Thanks a lot for the article. I appreciate it. Secured my phone.